Sage Belz, Stephanie Cencula, Jeffrey Cheng, Vivien Lee, Michael Ng, Finn Schuele, and Louise Sheiner, all of the Hutchins Center at Brookings, wrote the large majority of the paper summaries below. Is the Drop in Fertility Due to the Great Recession or a Permanent Change? Alicia Munnell (Boston College), Anqi Chen (Boston College), and Geoffrey T. Sanzenbacher (Boston College): Using individual-level birth records across states from the Center for Disease Control and over fifteen other data sources, the authors estimate how responsive fertility has been to economic cycles from 1976–2016. In general, and consistent with previous research, the authors find that fertility is pro-cyclical; i.e. it tends to decline during recessions and increase during expansions. However, this relationship has not held for the post-2008 recovery, which has seen a sustained decline in fertility rates even as the unemployment rate has fallen. To explain the recent break in the trend, the authors also study various structural drivers related to preferences for raising children among different demographic groups based on ethnicity, education and religion. They find that an increase in the number of women with a college education, an increase in the ratio of child care costs to income, and an increase in the female-male wage ratio can explain more than half of the 0.19 percentage point decline in the total fertility rate from the period of 2001– 2003 to the period of 2014–2016. These effects influence women’s decisions to have children by increasing the real cost of raising a child as well as the opportunity cost to women as their labor market outcomes improve. In addition, the authors study changes in individual group behavior and find that the decreased rate of fertility among Hispanic women and non-religious women can more than explain the decline in fertility over the same time period. Cumulatively, these results suggest that the Great Recession cannot explain declining fertility rates, but that demographic and cultural factors can, thereby indicating a likely continued decline in fertility in the U.S.
Demographic Drivers of the Post-Recessionary Fertility Decline and the Future of U.S. Fertility, Alison Gemmill (The Research Foundation of SUNY): Despite recent declines in the U.S. fertility rate from 2.1 children per woman in 2007 to 1.8 children per women in 2017, data from the most recent National Survey of Family Growth, collected from 2015 to 2017, reveal that the number of children women expect to have remains higher, at 2.1 to 2.6 children. This suggests that part of the decline in total fertility may be transitional, as women shift to having children later in their lives. Fertility rates adjusted for changes in the timing of childbearing don’t exhibit the decline observed in unadjusted fertility rates. Nevertheless, there is some cause for concern, says the author. Non-religious women, a growing proportion of the population, expect to have just 1.9 children, less than the replacement rate of 2.1 children per woman necessary to maintain the current population, and intended family size appears to be falling for nearly all population segments. Moreover, women tend have about 0.3 fewer children than they expect, and college-educated women, who delay childbearing longest, may fall even further short of their expectations. If fertility rates remain persistently below the replacement rate, the U.S. population will age and decline in the long run, putting further strain on Social Security. The author focuses particularly on Latina fertility, which fell by 34% between 2007 and 2017, and accounts for much of the overall decline in observed fertility over the decade. Understanding the dramatic changes in Latina fertility over the past decade may be the key to understanding future U.S. fertility. The Role of Institutions in Shaping America’s Future Demographics, Jennifer Sciubba (Rhodes College): Mexicans, Chinese, and Indians make up the three largest immigrant populations in the United States. According to the U.S. Census Bureau’s 2016 American Community Survey, there are currently 1 .6 million foreign-born Mexicans, 2.4 million foreign-born Chinese, and 2.4 million foreign-born Indians living in the U.S. Looking at these three immigrant populations, the author argues that U.S. immigration policies are at least as important as economic forces, like demand for certain types of labor, and networks, like established immigrant communities in the U.S., in determining when and from where people immigrate to the U.S. For instance, Indian and Chinese immigration picked up in the 1990s after the establishment of the H1-B visa, which provided a pathway for high-skilled workers, mainly in STEM fields, to immigrate to the U.S. legally. Mexican immigration slowed between 2000 and 2007, partially because the U.S. became more stringent in monitoring and enforcing immigration laws after 9/11. Nevertheless, there is some evidence that economic factors and migrant’s networks of families and friends matter for Mexican immigration. Mexican immigration picked up during the Mexican peso crisis in 1994–95 and slowed during the Great Recession as demand for labor in industries like construction diminished. The experience of Mexican, Chinese, and Indian immigration suggests that U.S. immigration policies will play an important role in determining migration patterns over the coming decades and will therefore shape the composition of the American population in 2050. Immigrants and the U.S. Wage Distribution, Vasil Yasenov (University of California, Berkeley; Stanford University): Since 2000, immigration to the U.S. has been concentrated at the lowest end of the wage distribution. In other words, as of 2015 the foreign-born population is composed of large numbers of low-wage workers, but relatively few middle- and high-wage workers. This is partially driven by the fact that immigrants’ skills and credentials are downgraded in the labor market. Standard economic models suggest that this pattern of immigration should lower wages for low-wage workers relative to middle- and high-income workers. The author shows that while immigration slightly reduces the wages of low-wage American workers, it slightly increases the wages of high-income American workers. A one percentage point increase in the proportion of immigrant workers reduces the wages for workers in the bottom 10 percent of the wage distribution by roughly 0.1 percentage points and increases the wages of workers in the top 10 percent of the wage distribution by 0.3. The wages of middle-income workers remain largely unaffected. The small magnitudes of wage impacts suggest that immigration could have played, at most, a limited impact on increasing the difference between wages at the very bottom and top of the distribution. The small magnitudes highlight the complex impact immigration can have on the wages of the local population. Immigration could increase local wages, as was the case for high-income Americans, if it leads to technological spillovers or if the skills of immigrant workers complement those of locals. The Impact of Immigration Reform on Medicare’s Fiscal Solvency, Lu Shi (Clemson University) and Gerald Kominski (University of California, Los Angeles): Analyses of immigrant health expenditures suggest that both legal immigrants and undocumented aliens contribute more to the Medicare Hospital Insurance Trust Fund than they cost. In particular, undocumented immigrants are subject to payroll taxes but do not have access to Medicare benefits. In this paper, the authors examine the long-term fiscal impact of a legalization process that would enable undocumented immigrants to contribute to and claim benefits from different parts of Medicare. The authors model the revenue and expenditures for Medicare both under a “status-quo” scenario and under a hypothetical reform scenario. Their results show that the immigration reform scenario will prolong the fiscal solvency of Medicare Hospital Trust Fund by two years; the Fund will see a negative balance in 2026 without the immigration reform, whereas the negative balance will appear under the immigration reform scenario in 2028. Moreover, the magnitude of negative balance under immigration reform will be much smaller than the magnitude seen under the “status quo” scenario by 2042. Family Structure and Parental Investments: Economic Resources, Commitment, and Inequalities in Financial Investments in Children, Orestes Pat Hastings (Colorado State University) and Daniel Schneider (University of California, Berkeley): An increasing share of American households with children are single-parent or cohabiting- partner (not married partner) households. Using expenditure data for children from 37,604 households from the Consumer Expenditure Survey between 2003 and 2017, the authors find that parental investment in children—the sum of expenditures on childcare, schooling, and enrichment activities—depends on family structure. Married parents spend $320 more per year per child than cohabiting parents and $276 more than single parents. The authors find that income accounts for the difference between married and single parents. After accounting for income, single parents invest more in their children than do married parents. But income explains less than half the gap between married parents and cohabiters. Even though cohabiting parents have many of the same economic advantages as married parents, the authors explain that marriage may increase investment in children because the commitment fosters long-term planning. The authors also find the same patterns of financial investment in children in black and Hispanic families, although the differences between married and cohabiting families are not as pronounced as those among white families. Because married parents make greater financial investment in their children, these children tend to fare better in childhood and to achieve better outcomes as adults. In 2050, today’s children will be America’s prime workforce. The authors observe that if some families are increasingly able to transmit their advantages to children while others are less likely to do so, America’s future labor force may face questions about opportunity and discontent associated with inequality. Growth and Change in the Composition of Vulnerable Nonresident Fatherhood, Ronald Mincy (Columbia University) and Hyunjoon Um (Columbia University): In the last four decades, the demographic groups that have faced the steepest declines in earnings and employment have been among those most likely to be nonresident parents: men who are less-educated, minority, and non-urban. More recently, this group was also the hardest hit by the Great Recession and has yet to recover their pre-recession earnings. The authors study what the confluence of these trends means for the financial health of nonresident fathers. About 55 percent of vulnerable nonresident fathers earn less than $20,000 a year, and the authors estimate that between 66 and 72 percent of nonresident fathers are financially vulnerable, meaning they would be in debt after meeting basic needs and paying child support obligations. Financial vulnerability among non-resident fathers varies significantly across race and educational attainment. Based on data from Wisconsin and Illinois, about 52 and 64 percent of non-Hispanic white and black nonresident fathers are financially vulnerable, respectively, compared to about 73 percent of Hispanic nonresident fathers. Nine out of ten nonresident fathers who are financially vulnerable have less than a bachelor’s degree, and since 2006 these men actually became more likely to be unemployed or work only part time. The high rate of financial vulnerability among these fathers means that only a minority—30 percent—meet their child support payments on a regular basis. The authors propose that allowing fathers to deduct a share of their income from their child support obligations would serve as a buffer against vulnerability and empower them to meet obligations in the future. Preparing the Future Workforce: Early Care and Education Participation among Children of Immigrants, Erica Greenberg (Urban Institute), Gina Adams (Urban Institute) and Victoria Rosenboom (Urban Institute): Nationwide, nearly one-quarter of all kindergarteners in fall 2010 had at least one immigrant parent. The authors examine the demographics of children with at least one foreign-born parent, and their participation in early education programs. Using the Early Childhood Longitudinal Study (Kindergarten Class of 2010-201 who will be in their mid-40s in 2050), they find that children of immigrants entering kindergarten in 2010 were demographically, socioeconomically, and linguistically diverse, suggesting that immigrant families will have different needs in their search for early education. In the year before they enter kindergarten, children of immigrants are more likely than those of U.S.-born parents to be cared for by one or more parents as opposed to relative or nonrelative caregivers or being in in formal childcare programs. Among children in low-income families, there is a gap of 13 percentage points between children cared for primarily by parents and those who aren’t; among higher-income families, the gap is 5 percentage points. But U.S.-born parents are more likely than immigrants to send their children to other people’s homes; immigrant parents are nearly as, if not more likely, to enroll their children in public programs such as Head Start and state pre-K than U.S.-born parents. Still, the authors find that only 45 percent of low-income children of immigrants are enrolled in any formal early childcare program. 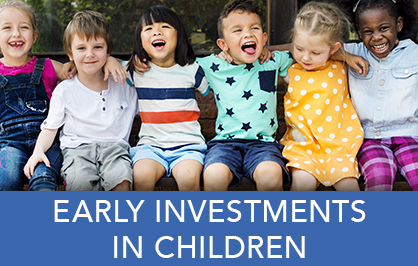 Findings suggest that increasing investments in high-quality early childhood programs and encouraging more immigrant parents to enroll their children in them can help prepare children of immigrants for success in 2050. Neighborhood Disadvantage and Children’s Cognitive Skill Trajectories, Katie Vinopal (The Ohio State University) and Taryn Morrissey (American University): More than one-quarter of children—the future workforce—attend elementary school in high- poverty neighborhoods, which are defined as those in which more than 20 percent of the population live in poverty. A growing body of research documents the relationship between neighborhood poverty and future academic achievement. Less clear is how neighborhood disadvantage impacts early learning, and the extent to which the K-12 school system closes or exacerbates early disparities. Using data from the 201 Early Childhood Longitudinal Study- Kindergarten Cohort, the authors find that, descriptively, children in high-poverty neighborhoods start kindergarten almost one year behind their peers in low-poverty neighborhoods in both reading and math ability. However, adjusting for background characteristics, children in higher- poverty neighborhoods improve faster in both subjects during kindergarten. Children in high- poverty communities show 26 percent and 8 percent higher growth in math and reading during kindergarten, respectively, compared to those in low-poverty communities. Still, the relative improvement in scores that happens in the first elementary school years is not enough to close the pre-K achievement gap—and this trend reverses in first grade, such that children in high- poverty communities grow at slower rates. The neighborhood effect on initial math and reading levels and on later improvement rates appears to be larger for black students than for others, suggesting that even within high-poverty neighborhoods, race plays a role in access to high- quality schools and pre-school resources. The authors see the results as evidence that reducing neighborhood segregation by income is a key to closing achievement gaps. New Developments in Childhood Health: Trends and Consequences in Young Adulthood, Robert Bozick (RAND Corporation) and Narayan Sastry (University of Michigan): Using two supplemental surveys from the Panel Study of Income Dynamics, the Child Development Supplement and the Transition into Adulthood Study, from 1997 to 2017, the authors find that mental health conditions in childhood—including depression, anxiety, ADHD, and antisocial behaviors—are the most consequential for future achievement in education, independence, and family formation. Children who experience these conditions are less likely to complete high school, less likely to enroll in college, and more dependent on their parents than peers who do not exhibit such behaviors. In contrast, the authors find that children who have asthma or are obese do not suffer longer-term consequences. Based on current trends in health, the authors predict an overall decrease in asthma and an increase in mental health conditions. The trend in childhood obesity is difficult to predict. While sedentary behavior and food intake have been increasing among children, which can lead to obesity, the growing investment in preventive measures, including the “Let’s Move!” campaign, may have longer-term benefits. In 30 years, today’s children will be in their peak earnings years. A focus on improving mental health care will be especially important for this generation. Visualizing the Demand and Supply of Financial Aid for College, Drew Anderson (RAND Corporation): Changes in demography and the labor force raise questions about the adequacy and nature of government aid for financing college. The total number of high school graduates will decline, but the number of Hispanics and students from the South is projected to grow. These groups have historically lower levels of college enrollment, but higher levels of eligibility for financial aid when they do enroll. Recent surges in college enrollment and demand for financial aid have also come from older adults, who tend to turn to college when the job market is weak. Overall, the number of students taking some financial aid to go to college will be falling by the end of the 2020s primarily because of declines in the birth rate. Against that backdrop, Anderson examines two case studies in financial aid. In one, he finds that a change in the Free Application for Federal Student Aid (FAFSA) to allow applicants to file earlier by using two-year-old income data instead of the prior year’s income had a mixed effect. Students with lower test scores were less likely to take advantage of earlier filing, while students with lower family incomes were slightly more likely to take advantage. Timing of filing matters in states where need-based aid is distributed first-come, first-served, such as with the Wisconsin Grant, a state version of the Pell Grant with a budget cap each year. He finds that students applying to private institutions, women, younger students, and students with higher test scores applied earlier, potentially giving them a better shot at receiving the aid. Among recent high school graduates, black and Hispanic students filed slightly later than whites; Asian students filed slightly earlier than whites. Looking forward, federal changes to applications and state changes to budgets are likely to affect student groups differently. Past and Present Differences in Opportunity by Neighborhood, Catherine Massey (University of Colorado), Jonathan Rothbaum (U.S. Census Bureau*) and Liana Fox (U.S. Census Bureau*): Recent research finds that childhood neighborhoods affect adult economic outcomes, especially for children of low-income parents. However, understanding why one neighborhood results in better outcomes for low-income children than another is extremely challenging using estimates from only one point in time. Because places are shaped by both contemporary and historical factors, it is important to understand geographic differences in opportunity both today and in the past. Using 1940 Census data linked to 1040 tax returns, the authors examine geographic differences in child outcomes experienced by cohorts born roughly 50 years apart—revealing how intergenerational persistence of status has changed over time both at the national level and at smaller geographic levels. In studying these changes, the authors hope to shed light on the causes of intergenerational mobility and inequality of opportunity. Multigenerational Cycles of Poverty? The Transmission of Childhood Poverty Across Three Generations, Fabian Pfeffer (University of Michigan) and Davis Daumler (University of Michigan): Much prior research has investigated the intergenerational transmission of poverty, often referred to as the “cycle of poverty”, by studying the association between the poverty status of parents and that of their adult children. The authors provide a new analytical perspective on the idea of “cycles of poverty” by investigating the extent to which the intergenerational transmission of poverty extends across multiple rather than just two generations. They apply a prospective analysis of the population-level dynamics of poverty that takes into account the role of fertility differentials and carefully identify the total multigenerational effects of growing up poor. The U.S. Labor Market in 2050: Supply, Demand and Policies to Improve Outcomes, Harry Holzer (Georgetown University): Current estimates suggest that over the coming decades, slower population growth and lower labor force participation will constrain the supply of labor in the U.S. The U.S. labor force will also become more diverse as immigration and fertility trends increase the size of minority populations. New forms of automation will likely require workers to adapt to keep their old jobs, while many will be displaced or face less demand for their work (while others benefit). Firms will continue to implement alternative staffing arrangements, like turning workers into independent contractors or outsourcing their human resource management to other firms; and many will adopt “low- road” employment practices to keep labor costs low. Exactly whom these changes will benefit or harm remains unclear, the author finds, though non-college workers will likely fare the worst; higher productivity from new technologies and reduced labor supply could raise average wages, but many workers will clearly be worse off. According to the author, policy makers should provide incentives for firms to train current employees, rather than replace them, and should encourage schools and colleges to teach flexible, transferable skills, as the future workforce will likely need to adapt quickly to new and changing job requirements. Lifelong learning accounts for workers could help. Expanding wage insurance and improving unemployment insurance and workforce services could help workers adapt after suffering job displacement. Policies that make work pay, like the EITC, and others designed to increase labor force attachment, like paid family leave, could help mitigate declines in the labor force. Reforms in immigration and retirement policy will help as well, as would policy experimentation at the state and local level (with federal support). Digitalization, Automation, and Older Black Women: Ensuring Equity in the Future of Work, Chandra Childers (Institute for Women's Policy Research): Despite being significant breadwinners in their households, African American women have historically worked in a limited number of occupations with low pay, poor working conditions, and few educational requirements. Increasing rates of automation and digitization that require higher levels of skill therefore have the potential to adversely affect African American women working in low-wage, low-skill jobs. Using data on digitization and automation probabilities for various occupations and work tasks, paired with Bureau of Labor Statistics employment projections and historical data from the American Community Survey, the author finds that automation had little effect on African American female employment or working hours from 2000 to 2016. However, current projections show that overall female employment is disproportionately concentrated in low-paying occupations that will be increasingly subjected to automation in the next 10 to 20 years. African American women disproportionately lack the training needed for fast-growing, high-paying jobs, given their higher levels of student debt, particularly at private for-profit colleges. These trends suggest that without targeted retraining policies or expanded college access, African American women will be at a disadvantage in the labor market over the next few decades. Geographic Mobility and Parental Co-residence Among Young Adults, Sewin Chan (New York University), Katherine O’Regan (New York University) and Wei You (New York University): Using the American Community Survey (2006–2016) and the Panel Study of Income Dynamics (1997–2015), the authors study three outcomes for young adults aged 18 to 35: co-residing with their parents, transitioning away from living with a parent, and returning to live with a parent after living elsewhere (often known as a “boomerang”). Among other things, the authors show that the majority of boomerang moves are to areas with higher rates of unemployment than the areas the young adults left, while the majority of non-boomerang moves are to areas with lower unemployment. This suggests, according to the authors, that moves to a living with one’s parents are not sensitive to labor market conditions in the parents’ community. The share of boomerang moves to areas with higher unemployment rates is highest for black young adults of all ages and for Hispanics younger than 23. The authors note that there are concerns for minority employment prospects if boomerang decisions remain insensitive to labor market conditions in the parent’s geographic area: 56.4 percent of blacks and 55.4 percent of Hispanics aged 16–17 live in areas where the unemployment rate for 24- to 35-year-olds is above the national average. In contrast, only 40.7 percent of whites ages 16–17 live in areas where the unemployment rate for 24- to 35-year-olds is above the national average. (Machine) Learning About Immigration's Impact in Local Labor Markets With Classified Ad Text, George Borjas (Harvard University), Jason Anastasopoulos (University of Georgia), Gavin Cook (Princeton University) and Michael Lachanski (Princeton University): The Mariel Boatlift brought more than 120,000 people to the U.S in 1980, and was the largest single influx of refugees that could be measured by modern economic statistics; it thus offers clues to the impact of immigration on local labor markets. The authors use machine learning techniques to examine changes in the composition of help-wanted advertisements in the Miami Herald before and after the Boatlift. They find a sharp decline in ads for less-educated workers— particularly in food services and automotive occupations—with offsetting increases in ads for management, sales, accounting and engineering jobs. They conclude that the Marielitos took jobs requiring less education that would otherwise have been advertised in the Miami Herald, evidence of a large supply shock for that segment of the labor market that lowered wages for less-educated workers. While acknowledging that much has changed in the U.S. since 1980, the authors argue that there are clues to the future in the past—and emphasize the usefulness of preserving older sources of data so that they can be mined by scholars. Sentiments and Worker Readiness for the Future of Work, Ismail White (Duke University) and Harin Contractor (Joint Center for Political and Economic Studies): Through a survey, this project assesses worker sentiments about technological advances, training opportunities and responsibility for preparing workers for a changing economy. 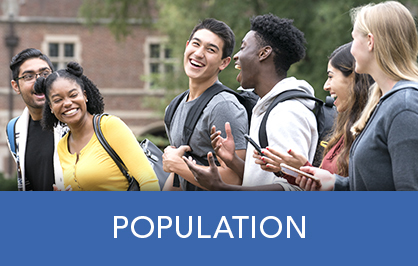 It provides results for non-Hispanic white, African American, Latinx and Asian American/Pacific Islander populations. Work-Related Opportunity Costs of Providing Unpaid Family Care, Stipica Mudrazija (Urban Institute): About 10 million Americans aged 65 and older rely on unpaid care from family and friends to meet basic health needs. The aging of the U.S. population means that hours devoted to such care will likely increase over the next several decades. The author examines the impact of unpaid caregiving on working-age adults’ labor force participation, and estimates how the work-related opportunity costs of unpaid care—earnings foregone in order to be a caregiver—will evolve as the population ages and as the demographic profile of caregivers becomes more racially diverse and more educated. Using data from the National Study of Caregiving, the author finds that caregivers are about 9 percentage points less likely to be employed than those that do not provide care. 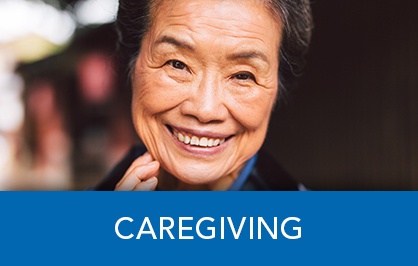 In addition, employed caregivers work 2.1 fewer hours per week than their non-caregiver peers. The current annual work-related opportunity cost of unpaid care in the United States is about $67 billion, but these costs will more than double by 2050. In addition, the share of the total opportunity cost of unpaid caregiving that is borne by minority adults is likely to rise significantly, as the non-white population grows and becomes more highly educated. While most analyses have concluded that the economic benefits of unpaid family care in terms of savings to government programs outweigh work opportunity costs, this study suggests that calculation may change dramatically in the next three decades. Will Fewer Children Boost Demand for Formal Caregiving? Gal Wettstein (Center for Retirement Research at Boston College) and Alice Zulkarnain (Center for Retirement Research at Boston College): Most care for the elderly today is provided informally, particularly by adult children. Thus, lower projected fertility rates could eventually mean increased demand for formal elder care. Using the Health and Retirement Study from 1992 to 2014, the authors assess how the number of children a person has affects his or her demand for formal caregiving. The authors estimate that, among people over age 50, having one fewer child increases the probability of having spent a night in a nursing home in the last two years by 1.7 percentage points—a magnitude comparable to the effect of having poor self-reported health, or of being ten years older. They extrapolate this finding to 2050, and estimate that the decline in fertility of the Baby Boom Generation will increase formal care demand per person by an extra 8.6 percent. Combined with the expected tripling of the population over age 85, the authors estimate that formal care demand will increase by about 326 percent relative to the current formal care demand. Immigration and Tomorrow’s Elderly, Kristin Butcher (Wellesley College) and Tara Watson (Williams College): Using the Census Bureau’s population projections and the American Community Survey, the authors examine how the coming demographic shift will affect the supply of paid caregivers, and the role that immigration policy could play. Among their findings: although the majority of the population age 80 and up has some type of disability or difficulty, fewer than 10 percent of individuals in their 80s live in an institution. This suggests either that they are getting help that keeps them out of institutions, or that there is an unmet need for such help. The authors identify eight key occupations that may help elderly individuals age in place, such as nursing aides and housekeepers, and predict that these occupations as a share of the overall workforce will increase from 8.4 percent to 12 percent in 2050. Further, they find that immigrants are disproportionately represented in these occupations. Assuming that the ratios of immigrants to total number of workers are fixed within occupations, the authors estimate that 42 million foreign-born workers would be required to maintain current immigrant representation in these fields. This is significantly more than the 30 million immigrants that are projected to be working in the U.S. in 2050. The Long-Term Fiscal Benefits (and Costs) of Better Disease Prevention, Bryan Tysinger (University of Southern California) and Dana Goldman (University of Southern California): With the U.S. population aging, public health programs are increasingly burdened by the cost of chronic diseases. Although life expectancy has continued to increase, disability rates have also risen, putting increased fiscal stress on government benefit programs. Using a large-scale microsimulation model of the U.S. population through 2050, the authors study the projected fiscal burden driven by different chronic diseases. They estimate the total fiscal benefits of eliminating or reducing the incidence of cancer, diabetes, heart disease, hypertension, lung disease and stroke through reduced benefits and increased revenues achieved through longevity. They find that the fiscal benefits of eliminating cardiovascular diseases such as hypertension and heart disease provide the greatest fiscal savings. In particular, eliminating hypertension would save the government an estimated $3.5 trillion from 2018–2050. Much of these savings come from improving the health outcomes of those with less education who currently receive more federal benefits and live shorter lives due to chronic disease, suggesting improvements in distributional outcomes from disease treatment. Despite these gains, current fiscal shortfalls would not be solved by completely eradicating any one of these diseases. The authors recommend government initiatives geared towards disease prevention as opposed to treatment, as well as lifestyle interventions that could reduce the incidence of cardiovascular disease. 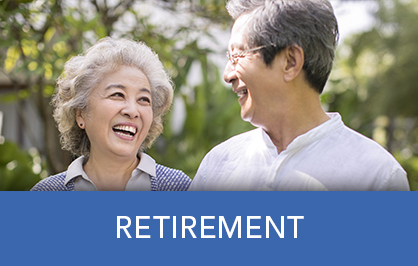 How Will Retirement Saving Change By 2050? Prospects for the Millennial Generation, William Gale (The Brookings Institution), Hilary Gelfond (The Brookings Institution) and Jason Fichtner (Johns Hopkins University): By 2050, the Millennial Generation (those born between 1981 and 1996) will be near retirement age. Using the Federal Reserve Board’s Survey of Consumer Finances, the authors find several reasons why the Millennial Generation won’t have adequately saved for a retirement in which their standard of living is similar to that of their working years. Millennials do have some advantages, including higher education, higher wages, and longer working lives, which suggest they have more opportunities to save. But they also face strong headwinds. They entered the job market during the Great Recession, which could have negatively affected their earnings. At the same time, the labor market and pension systems began to evolve; the former towards contingent jobs and the latter towards defined contribution plans. Both changes place the responsibility of retirement saving on the worker. Noting that the U.S. will be majority non-white in 2050, the authors observe that minorities have tended to accumulate less wealth and save less for retirement, even after controlling for income, education, and marital status. This disparity appears to be increasing over time for black households relative to white. While it is difficult to predict savings patterns decades into the future, the authors see cause for concern as to how the Millennial Generation will fare in retirement. Retirement Security in 2050: Future Outcomes for GenX and Early Millennial Retirees, Barbara Butrica (Urban Institute): Using a large-scale microsimulation model, the author studies how GenX and early millennials (now between 35 and 54) will fare in retirement in 2050, compared both to their current economic situation and to current retirees. The simulation finds, among other things, that there is likely to be more inequality in economic well-being in retirement for future retirees. Most of this disparity is driven by those with less education, those with fewer years working, and those who don’t participate in employer-sponsored retirement programs. Compared to adults currently aged 65–84, genXers and millennials at similar ages in 2050 will have higher earnings and income, mostly driven by longer working years and higher earnings of women. However, their retirement incomes will represent a smaller fraction of their earnings than today’s retirees. While minorities will continue to have lower levels of economic well-bring compared to white counterparts, their income and earnings are projected to improve significantly relative to the current generation of minority retirees. College Premium and Its Impact on Racial and Gender Differentials in Earnings and Future Old-age Income, Damir Cosic (Urban Institute): A college education can be a pathway to higher earnings, savings plans, and eventually, greater income security during retirement. The benefits of college vary significantly across race and gender. The author estimates differences in the additional earnings workers get from graduating college—the “college premium”—and how they translate into income disparities for the retired population in 2050. In 2010, the college premium for white women was 26 percent, but 19 percent for black women; the college premium was 15 percent for white men, but 11 percent for black men. Using a simulation model to project income at old age, the author finds that gender and racial gaps are narrowed somewhat because Social Security benefits, an important source of old-age income, are distributed less unequally than the lifetime earnings on which they are based. The author also finds that race-based wage discrimination among college-educated workers leads to large losses in lifetime earnings for black women and men. Over a working lifetime, black men lose an estimated $1,000,000 in total earnings, and black women lose an estimated $700,000 to wage discrimination. These differences have significant implications for the distribution of old-age income in 2050, and suggest there is room for policymakers to combat wage discrimination. Socioeconomic Disparities in Disabled and Disability-Free Life Expectancy: Implications for Our Fiscal Future, Melissa Favreault (The Urban Institute): People at the bottom end of the income distribution and those with less education disproportionately suffer poor health and disability. Depending on the structure of the tax and benefits system, this could lead to differing Social Security and Medicare payouts to people with and without disabilities, by varying degrees of education and income. Focused on the cohort of adults currently in their prime working years, the author projects that, on average, those with more education and higher income will live longer, receive more Social Security benefits, and spend less of their entire benefit-receiving period experiencing disability. Those in these more advantaged groups are projected to receive more than double the average annual benefits from Social Security than the least educated or lowest income groups, and will spend about half as much time with severe disabilities during their beneficiary years. With Medicare, however, the trend is reversed—with more disadvantaged groups projected to receive more benefits over a longer time period, primarily due to extended periods living with disabilities. Between the two programs, the author projects that the most disadvantaged groups will receive half of their lifetime benefits during periods of disability, while more educated and wealthier groups will only receive a quarter of their lifetime benefits during periods of disability. When making changes to Social Security and Medicare to make them financially sustainable, policymakers should recognize the differing needs and uses by different groups, and target changes accordingly. Financial Fragility among Middle-Income Households: Evidence Beyond Asset Building, Andrea Hasler (George Washington University) and Annamaria Lusardi (George Washington University): The 2015 National Financial Capability Study, a nationally representative survey of roughly 27,000 adults, reveals that 36 percent of American households, and 47 percent of African American households, are “financially fragile” a decade after the Great Recession. The authors define a household as financially fragile if they report that they probably or certainly could not come up with $2,000 in the next 30 days if a sudden need arose. Financial fragility is not unique to low- income households: 30 percent of middle-income households—those making between $50,000 and $75,000 annually—also reported financial fragility. There were no significant differences in rates of financial fragility for middle-income households of different races. While middle-income households do have more assets than low-income households, they also have more debt. Many have mortgages and home equity loans on their houses and carry loans on their cars. The percentage of people with car loans increases with income. Looking at household debt as well as household assets is important, according to the authors, because households with more debt are more likely to be financially fragile. Middle-income households with more financially dependent children are more prone to financial fragility. Financial literacy, as assessed through the NFCS, lowers the likelihood of being financially fragile. The authors suggest that providing financial education at schools and workplaces and providing tax and non-tax incentives to build short term savings would reduce financially fragility in the United States. Spatial Patterns of Work, Poverty, & Safety Net Provision in the U.S., Scott Allard (University of Washington): Despite a long and sustained economic recovery from the Great Recession, poverty in the United States remains above pre-recession levels. The author analyzes changes in poverty and federal social safety net spending by geographic region in the U.S. He finds large increases in the number of people below the poverty line in suburban areas and significant decreases in labor force participation in suburban areas. As a result, suburban areas also saw large increases in the number of people receiving federal benefits, such as the EITC and SNAP. However, many other programs, such as TANF, failed to increase spending or expand at a rate commensurate with the increase in poverty. Human service nonprofits, often focused on poverty alleviation through services that complement government aid, grew capacity at much slower rates in suburban and rural areas compared to urban areas, despite the large increases in poverty and high levels of need. As a result, the author argues that many key social safety net programs have not been sufficiently responsive to need in the areas that require them most. As poverty often results from detachment from the labor force and the uncertainty of low-wage work, various social safety net programs geared toward work fail to reach large numbers of impoverished people. The author recommends various reforms to the social safety net to address this, such as expanding funding for nonprofit human service programs, expanding the size and eligibility requirements for the EITC, and increasing the block grant to TANF. The Futures of Congress: Scenarios for the US 2050 Project, Daniel Stid (Hewlett Foundation): The author presents a framework for how the federal government may function in 2050, outlining four different scenarios based on two dimensions: whether politics will be more pluralized or polarized, and whether the legislative branch will have more influence (Madisonian) or the executive branch will (Hamiltonian). He notes that, historically, the vast majority of laws that have passed were backed by large bipartisan majorities, and that there has been no statistically significant downward trend in this, at least until 2016. The government has become more Hamiltonian over time, due to increasing U.S. global power and the ability of the president to speak directly to the public, among other reasons. Considering the challenges the U.S. government will face moving forward, most significantly shifting racial and aging demographics, automation, and climate change, the author presents four scenarios for federal politics in 2050. 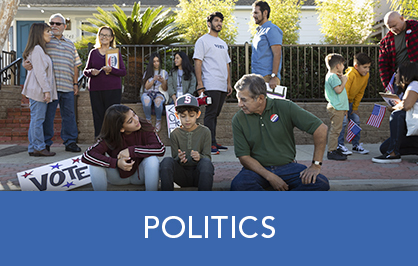 Where politics falls on the polarized-pluralized spectrum will largely depend on electoral outcomes, strategy and messaging of candidates, and the approach that presidential candidates take in building their electoral coalitions. A focus on foreign and national security would lean towards a more Hamiltonian government, whereas a focus on domestic policies that constituents care most about (e.g. social insurance and health care) would encourage a more Madisonian government, as would institutional reforms in and around Congress. The Multiracial Legislator (Dis)Advantage, Danielle Lemi (Southern Methodist University): The Census Bureau estimates that by 2050, individuals who identify as two or more races will make up about 5 percent—approximately 20 million—of the American population. Interviewing 15 state legislators who report multiracial ancestry, the author finds that multiracial representatives express a sense of linked fate to their constituents, believing their individual destinies are tied to those of their racial groups. They have what may be perceived as an advantage to selectively highlight specific identities at opportune moments. In addition, multiracial legislators may be afforded greater political and legislative presence because their backgrounds give them membership to multiple caucuses. At the same time, they face a disadvantage: the question of authenticity. Multiracial legislators face challenges in the enforcement, or perceived enforcement, of group identities—unsure if they will be fully accepted in either. The author suggests that multiracial legislators may complicate political representation for minority groups. And in 2050, as multiracial identification within the legislature increases, this may raise more questions about group loyalty and belonging. Race, Gender, and Money in Politics: Campaign Finance and Federal Candidates in the 2018 Midterms, Sarah Bryner and (Center for Responsive Politics), Grace Haley (Center for Responsive Politics): As the U.S. population grows increasingly diverse, Congress, and particularly Republican members, continue to lag behind in representation of women and minorities. While the 2018 midterm elections ushered in a historically large group of new female and minority congresspeople, barriers still remain to minority candidates trying to run, raise money, and win. Collecting individual candidate data from the 2018 midterms, the authors study the fundraising of political candidates by race, gender, and political affiliation, pairing an email survey in which candidates self-identify race and gender with data on electoral outcomes. While Democrats ran more diverse candidates than Republicans in terms of women and people of color in the 2018 midterms, the Democratic candidate pool was still less diverse than the electorate, particularly in competitive races. Additionally, black women face disadvantages in fundraising, particularly from large individual donors. While women raised more money than men this cycle, much of this increase in female fundraising in 2018 was driven by female candidates raising a disproportionate amount of money from female donors. The authors suggest that although the 116th Congress is much more diverse than those prior, there remain significant barriers to disadvantaged groups in running for office. Note: Not all organizations listed above are receiving grant funding.